Freshman guard Tierra Wilson makes her way around an opposing Davidson player towards the basket. 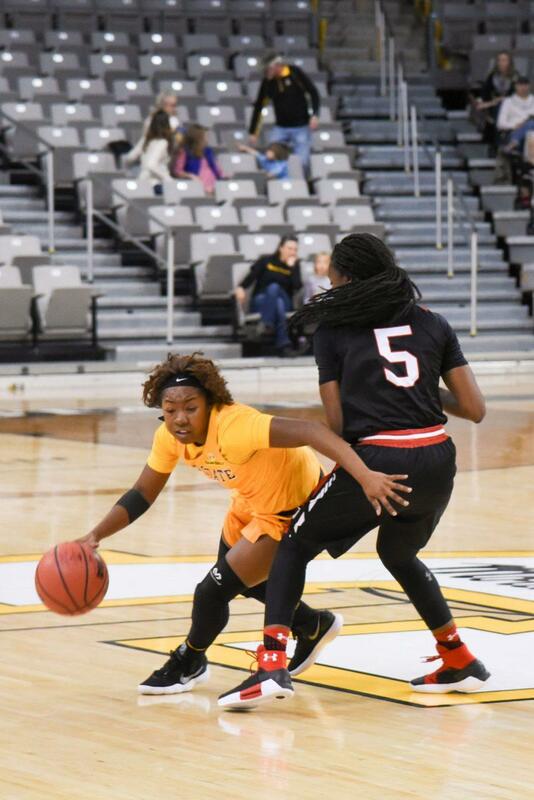 Mountaineer freshman Tierra Wilson started out the scoring early, nailing a 3-pointer off the assist from Bayley Plummer just 12 seconds into the game. 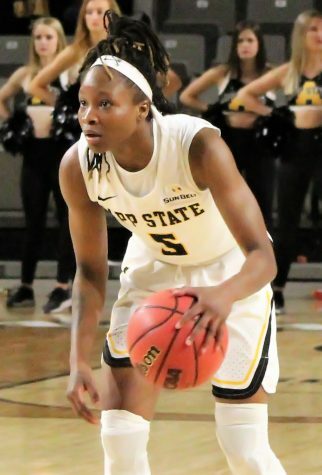 Georgia Southern tied the game 5-5 before Plummer grabbed one of her 10 rebounds and made a layup, giving App State the lead again. They never gave it up. 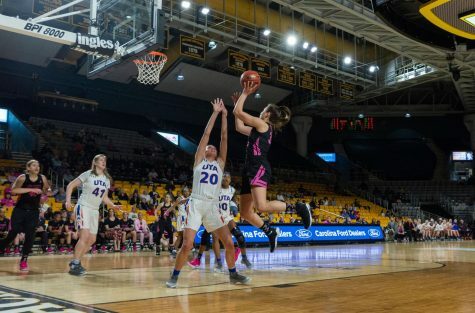 App State dominated for most of the ball game, out-rebounding the Eagles by 30 and shooting 55.4 percent from the floor to Georgia Southern’s 28.4 percent. Wilson held the spotlight in the first half, shooting a perfect 7-7 from the field, including 5-5 from 3-point range. Wilson finished with 21 points, leading both teams, and also had two rebounds. Plummer picked up her eighth double-double on the season with 11 points and 10 boards. 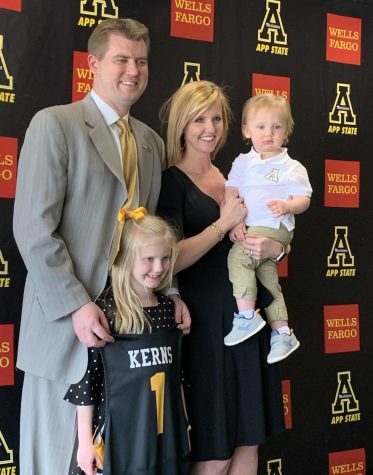 One of App State’s keys on the day was stellar teamwork. They tied their season-high 21 assists and made a number of well communicated plays that will not show up on a stat sheet. All nine active members of the Mountaineers’ roster played double-digit minutes, with seven of them making at least one assist. App State also had a great day on defense, blocking three shots, grabbing six steals and holding the Eagles to just 22.9 percent from 3-point range. While the Mountaineers displayed great team chemistry, they have not been together long. 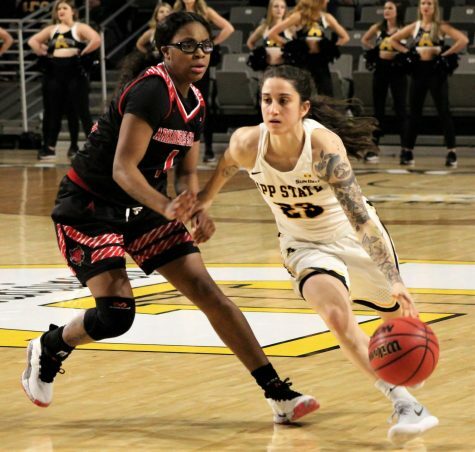 Their oldest player to take the court on the afternoon was junior guard Anna Perez-Gomez, who is in her first year at App State and played the smallest number of minutes. For the Mountaineers to have success this season, it will be a story of freshmen and sophomores. 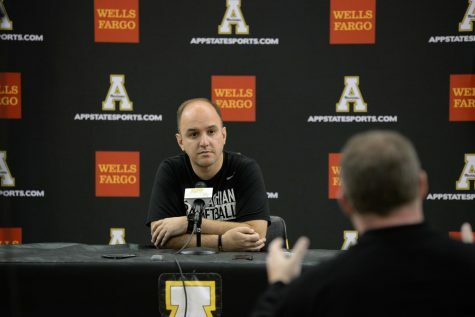 App State will return to action on Jan. 18 with a road game against the Troy Trojans.